MMMM…Potato Chips. I can’t even bring them into my house. 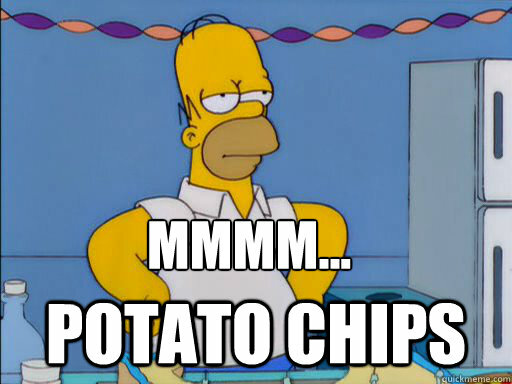 Especially Sour Cream and Onion potato chips. Seriously–I.Have.No.Will.Power! I’m not the only one that has a potato chip fetish, er, problem. In recent years the potato chip market generated over 16 billion in revenues per year. I don’t turn my nose up at any chip but I’m a complete and total sucker for Sour Cream and Onion potato chips. I don’t know that the chip is where it’s at when talking about Sour Cream and Onion chips. After all, I have been known to lick the powdery dusting off of them when in a glassy-eyed potato chip daze. So, in my continual search for eliminating processed and high glycemic foods in my diet, I began thinking about ways to get the same Sour Cream and Onion fix without all the muffin top-inducing effects of a traditional potato chip. 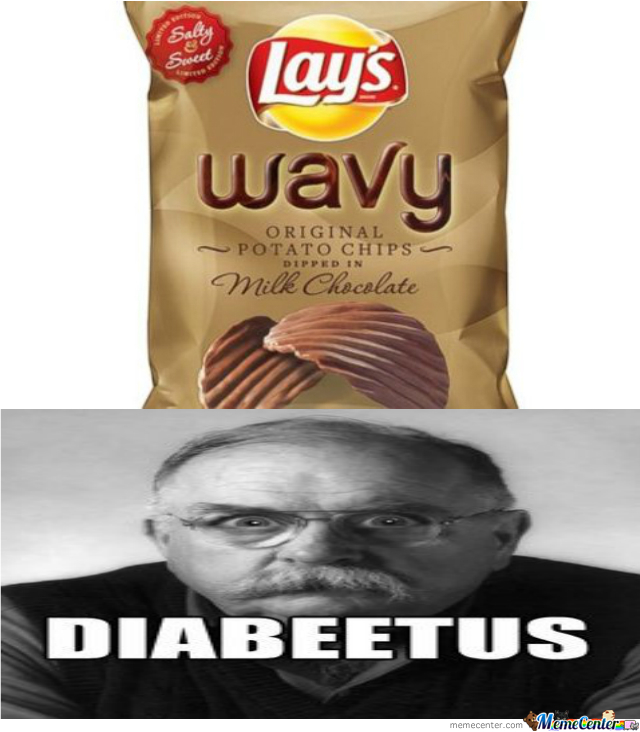 I think Wilford Brimley had it right…. Yep. Tha ‘Beetus. Nobody wants it. After trial and error, I think the Cucumber Sour Cream and Onion Chip is where it’s at. 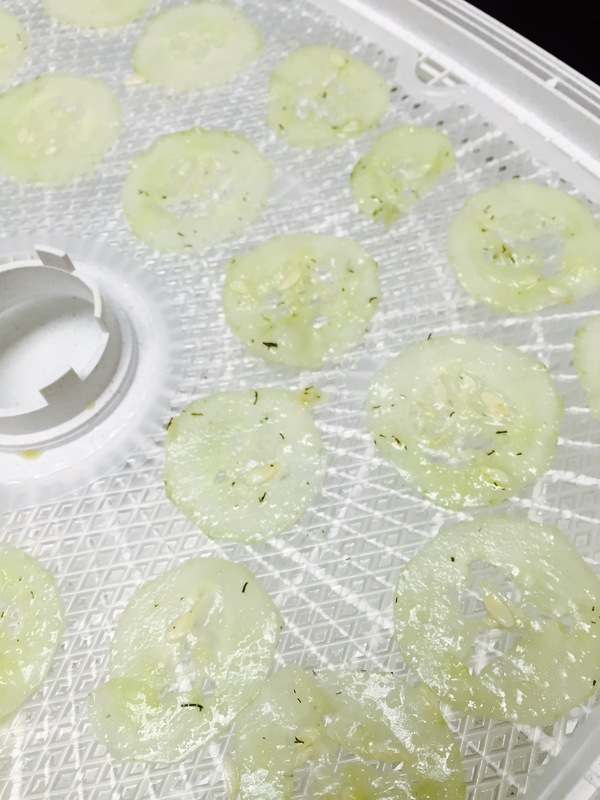 Cucumbers are flavor neutral enough to not get in the way of the tart flavorings and can be easily sliced thin enough to get some crisp on when placed in the dehydrator. Cooled and packed in a Ziploc with a desiccant pack, they’ll stay crisp enough to keep around for a week or so. 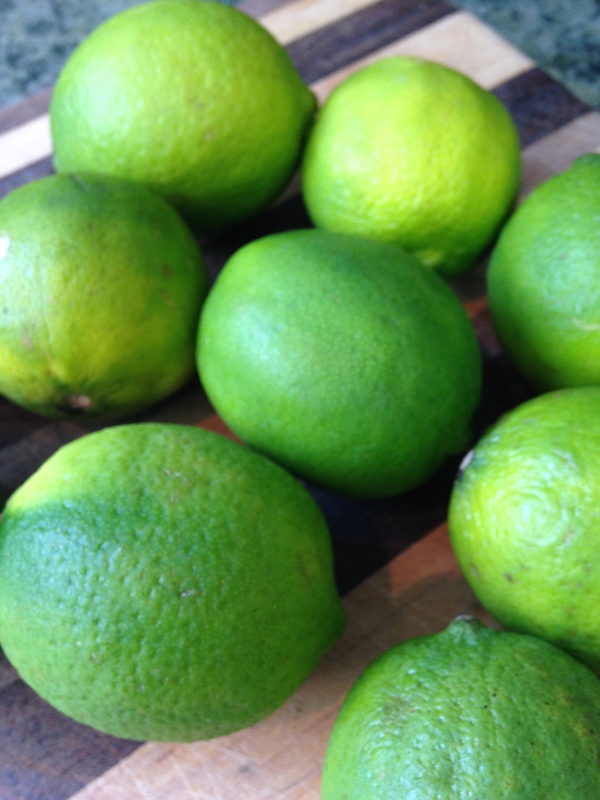 Feel free to make double or triple the recipe…these things are seriously addictive. 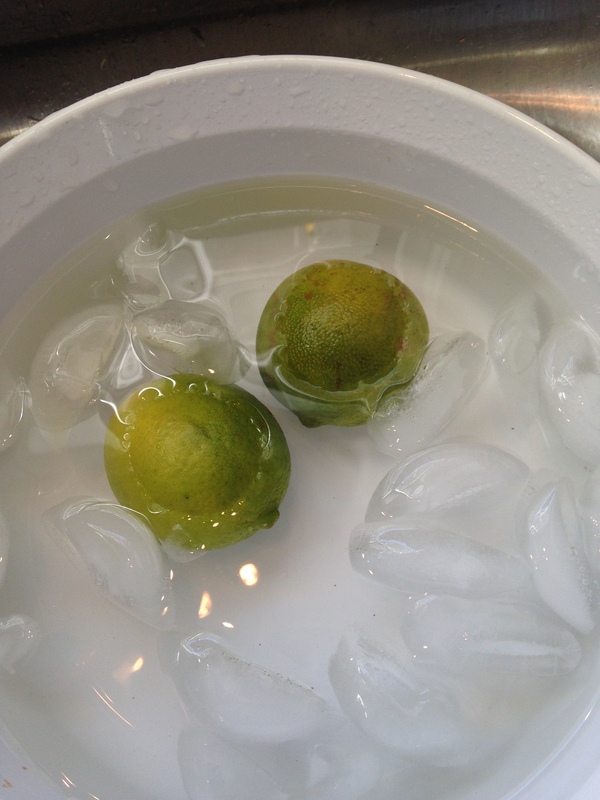 We can’t even wait for them to cool down before we’re going at ’em like rabid dogs. Trust me on this. 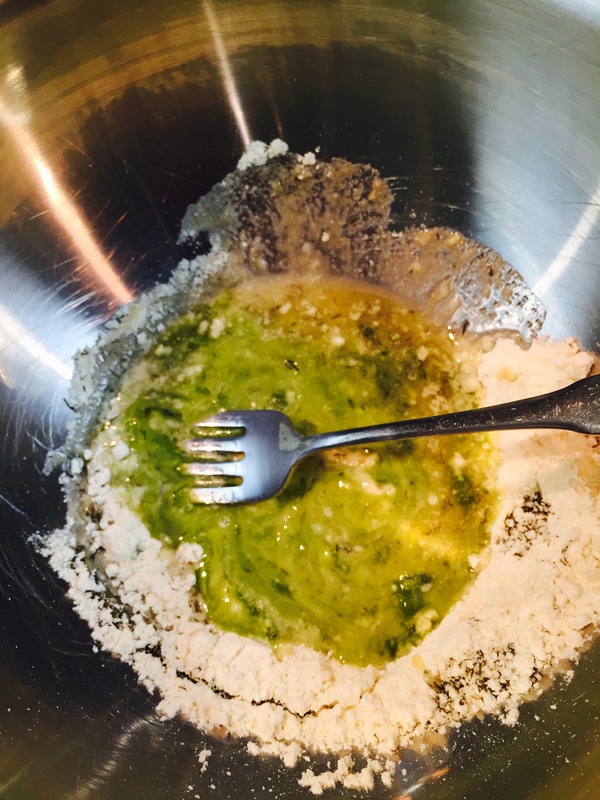 Whisk olive oil, buttermilk powder, onion powder, dill, garlic powder, and salt in a bowl. Mixing up the ‘chip’ flavoring. The cultured buttermilk powder really does the trick! 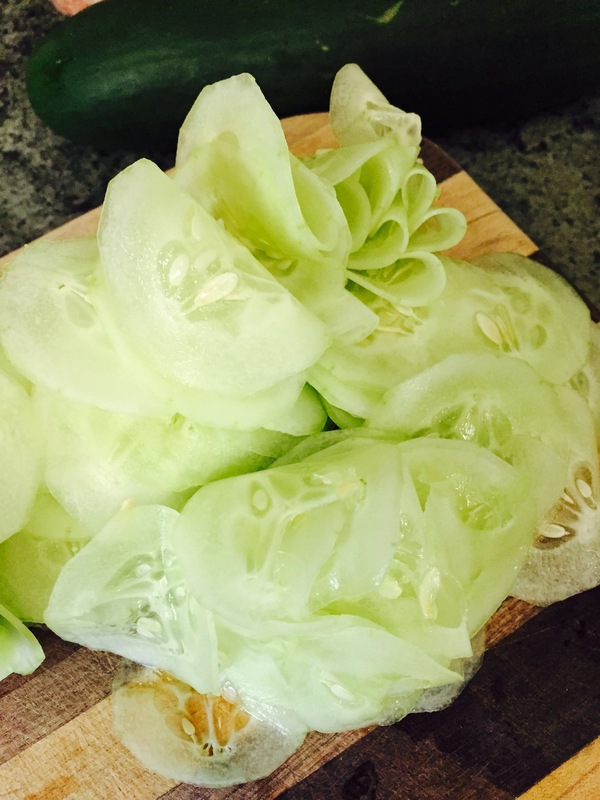 Wash and peel your cucumbers as the skin can get a little bitter when dehydrated. Slice your cucumbers at about 2-3 mm thickness. Thin slices = less time until you eat chips! 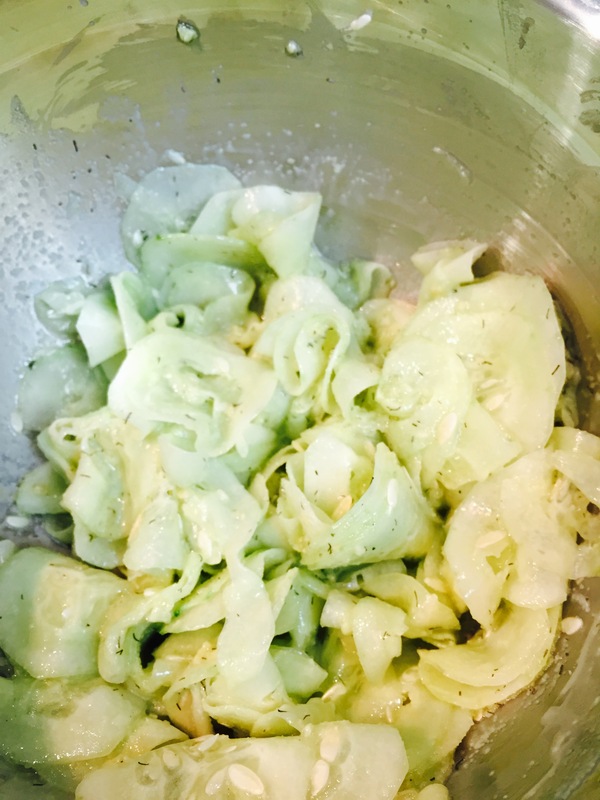 Working in small batches (about 1/2 cup), very gently toss the cucumber slices in the olive oil mixture. Gently coat the cucumber in the olive oil mixture. Working in small batches will help prevent the salt in the olive oil mixture from drawing out too much water from the cucumber and/or causing the cucumber to fall apart. 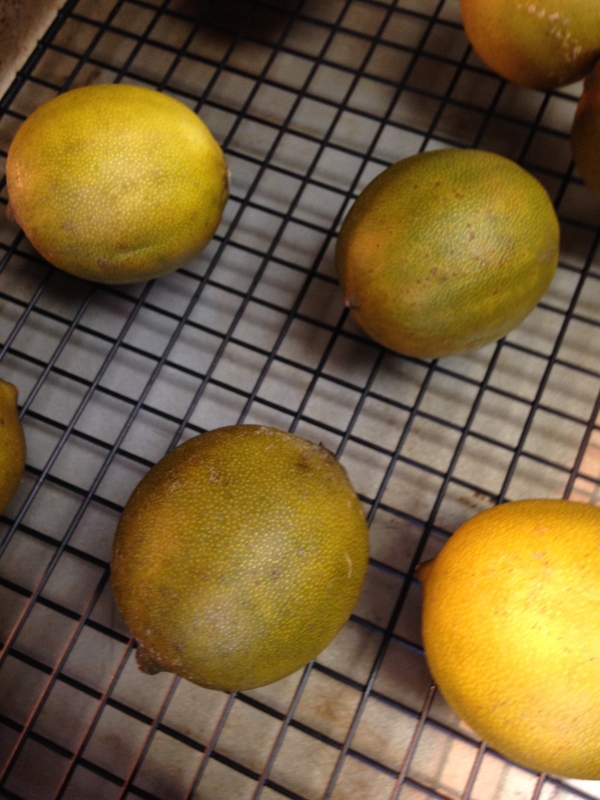 Place in single layers on dehydrator racks and dehydrate according to manufacturer settings until crisp. Ready to dehydrate. The waiting is the hardest part. 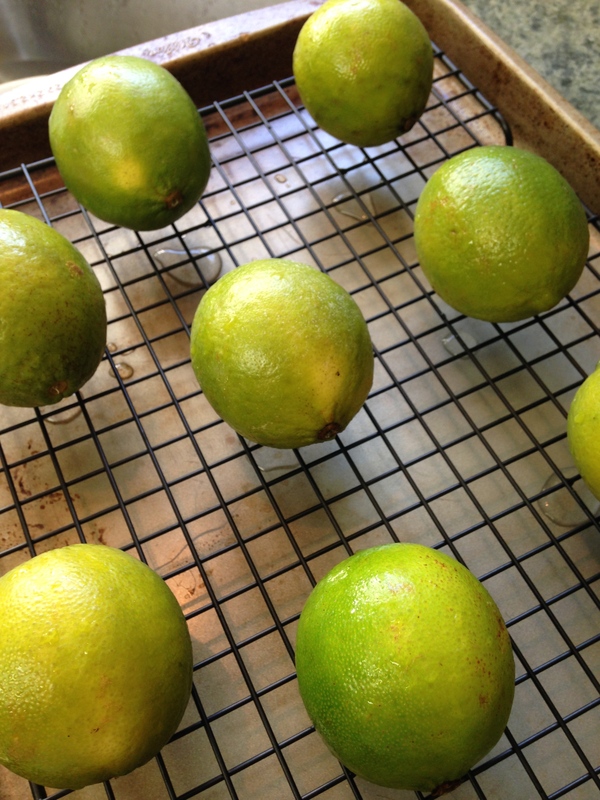 Make enough for a week if your dehydrator is large enough. You’ll need them. Mine generally take 6 or so hours at 135 degrees. Super crisp and melt in your mouth if cut at 1mm…the crisp and body of a potato chip at 2-3mm. Either way you’re going to need a lot of these…they’re just too good to put down. Forget a standard potato chip…I’m not even looking back! Cool completely and store in a Ziploc with a desiccant pack in the refrigerator. Next time your snack attack hits…reach for your cucumber chips and you won’t have to feel bad for a minute! 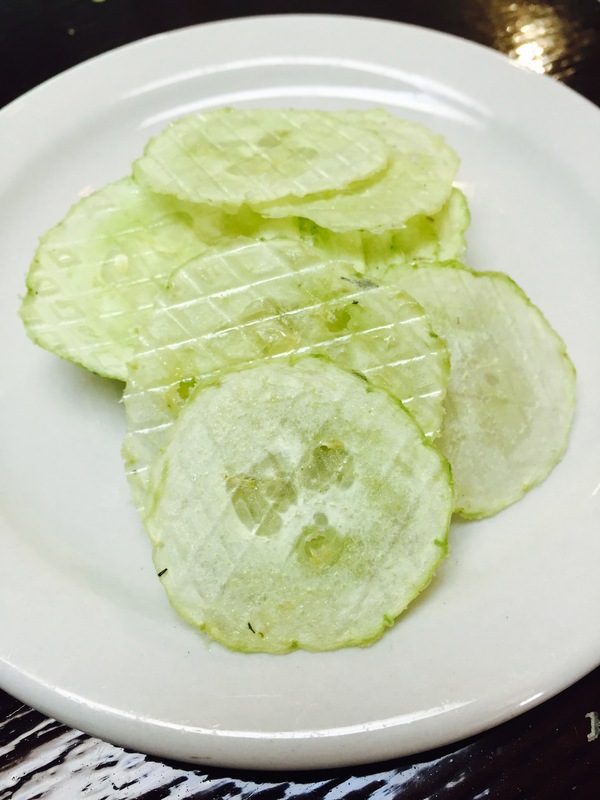 This entry was posted in cucumbers, Snacks, Vegetables and tagged Cucumber, gluten-free, low histamine, paleo. Bookmark the permalink. ← Who needs Crackers and Chips…I’ve got Cabbage!